This reply refers to the comment available online at https://doi.org/10.1007/s00540-018-2603-8. We thank the readers for his or her interest in our recent article and agree with the suggestions throughout our paper. We have no objection to the opinion that our study is a retrospective study and prospective research with a high evidence level is necessary. As pointed out, if we could match ephedrine alone case and phenylephrine alone case, we could clearly judge the effect of each drug to umbilical cord blood gas. This point is considered as one of the limitations of our study as described in the discussion. In clinical practice, phenylephrine and ephedrine are often used in combination, taking into consideration the influence on the heart rate of each drug. The number of patients who used only phenylephrine or ephedrine was small and there was a possibility that the statistical power could be insufficient. 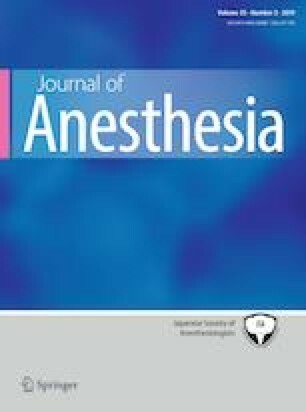 Furthermore, the purpose of this study was to examine the effect of phenylephrine on umbilical cord blood gas, not to compare phenylephrine and ephedrine. The presence or absence of difference in ephedrine dose in both groups was allowed. We have confirmed the balance of the covariates by calculating a standardized difference, which was also shown in the method. Regarding the dose of ephedrine, the hypothesis test is not a confirmation of the balance, but a comparison of the results to the last. In the first place, administration of ephedrine is not an event prior to the research intervention, so it could not be adjusted using propensity score . This point is the limit of the propensity score method. Because it was a retrospective study with various limitations, our study did not conclude the safety of phenylephrine but suggested its possibility.